We received a report a moment ago from a reader who was notified to update his Nexus 7 (2012) to Android 4.4.2 (build KOT49H). We’re still awaiting more info from him, but a user on reddit and another on XDA also are confirming the arrival of yet another update. We should point out that Sprint support is showing that the Nexus 5 is due an update to build KRT49H (pretty sure it’s KOT49H) today, which is a build we have yet to see. The Nexus 5 just received its Android 4.4.1 update last week as build KOT49E. UPDATE: Screenshot added. The update is indeed rolling out as KOT49H (Android 4.4.2). 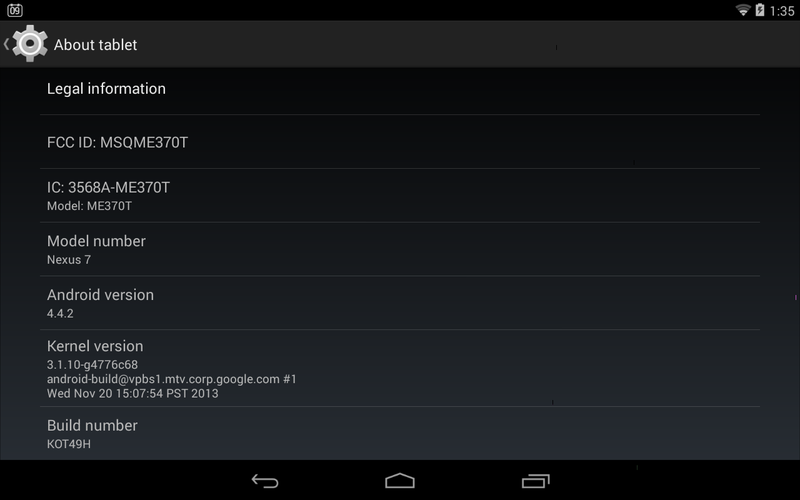 UPDATE 3: We now have reports of the Nexus 7 (2013) and Nexus 4 receiving the update as well.